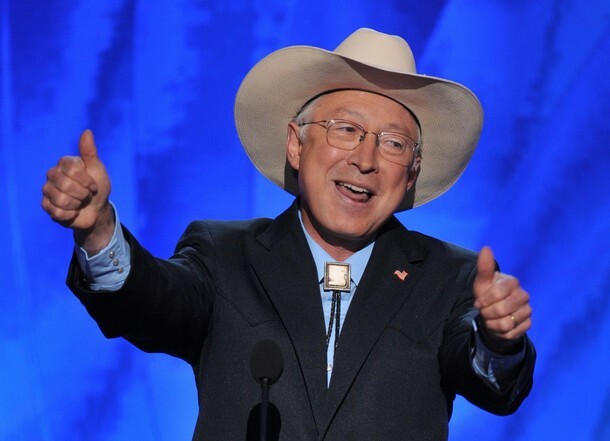 Not surprisingly, Interior Secretary Ken Salazar’s proposal to merge the federal Office of Surface Mining, Reclamation and Enforcement with the Bureau of Land Management is drawing some concerns from various quarters. … Lawmakers from both parties raised concerns about the merger. A number of Republican members including Representative Bill Flores of Texas questioned whether Interior has the statutory authority to merge the two agencies. Representative Rush Holt of New Jersey, the committee’s leading Democrat, asked for assurances that the merger would not impact the agency’s oversight. “OSM is a separate and independent entity. … It will remain an independent agency,” Pizarchik said, quoting a statement Salazar gave to employees last week. The Foundation for Pennsylvania Watersheds, the Citizens Coal Council and other environmental groups are calling President Obama’s plan to fold the federal Office of Surface Mining into the Bureau of Land Management a threat to the $1.4 billion in federal funds due to Pennsylvania to reclaim abandoned mine lands and weaken surface mining regulation. “(Pennsylvania) has developed a foward thinking, visionary program for restoring the more than 5,500 miles of dead streams utilizing funds collected, held and distributed by OSM,” said John Dawes, Executive Director of the Foundation for Pennsylvania Watersheds. “To move the Abandoned Mine Land Program and its finances into an agency whose main purpose is to lease federal lands would be a disservice to all Pennsylvanians working diligently to restore our streams and abandoned mine lands. “Pennsylvanians worked very hard to secure the future of the Abandoned Mine Land Fund for the purpose of restoring land and streams in this state. We fear that BLM will have little interest in seeing the culmination of our hard work,” added Dawes. “This scheme is illegal and defies common sense,” said Aimee Erickson, Executive Director of the Citizens Coal Council. While the many devils in the yet-to-be-released details of the Salazar OSM-BLM merger scheme already raise many serious and practical objections, the illegality of the proposed bureaucratic entanglement makes the proposal a non-starter. … Pennsylvania is at the center of a growing dispute over how AML money is spent. Across the coalfields, some state AML managers and conservationists want to bump environmental restoration projects up on the AML priority list. Cleaning up a stream, they say, should be ranked as a high priority, along with reclaiming a dangerous site like the Shen-Penn pit. In 1999, Pennsylvania started this movement – in a big, big way. State officials added $3.6 billion of watershed cleanups to their AML project list. That action doubled the size of the entire nationwide AML inventory. The purpose of the hearing is to receive testimony on the Secretary of the Interior’s Order No. 3315 to Consolidate and Establish the Office of Surface Mining Reclamation and Enforcement within the Bureau of Land Management. Ms. Katie Sweeney, General Counsel, Legal and Regulatory Affairs, The National Mining Association, Washington, D.C.
As this continues to unfold, though, it will be interesting to watch folks come forward to oppose the merger who have spent a fair amount of time attacking OSMRE. The absence of energetic oversight invariably leads to problems, particularly with agencies like OSM that have close ties with the industries that they regulate. At the same time, industry officials and their friends within state regulatory agencies have spent the last few months bashing OSMRE’s efforts to improve oversight of state agencies and to rewrite the buffer zone rule. Coalfield political leaders like my friend Rep. Rahall have done the same. In fact two of the state regulator witnesses at tomorrow’s hearing — Butch Lambert from Virginia and John Corra of Wyoming — just two months ago came to a House Natural Resources field hearing in Charleston and let OSMRE have it pretty hard (see testimony here and here). Having said OSMRE is worthless (environmentalists) or demanded the federal agency stay out of their business (industry and the states), how can any of these folks now come to the agency’s defense when President Obama tries to do what so many people in Washington keep demanding he do (cut government spending)? Does any one really argue with the notion that OSMRE never really lived up to the goals Congress set out for it? And if not, shouldn’t the answer be to either actually make it (or let it) do that job or to get rid of it?